Many people know Itayi Dzamara as an activist missing. However, after the prayer day held in Zimbabwe, I now say here is a father to two beautiful children missing. He is also Sheffra`s husband, the most traumatised woman in the history of Zimbabwe. Yes he went missing some 4 months ago in Zimbabwe his homeland. He had gone to have his cut at the barber shop. 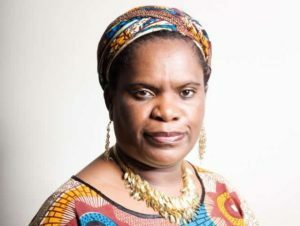 Muzvare Betty Makoni has decided to include Itayi Dzamara on her website as a way to remember him as an activist but also to fight for his kids and wife and brother Dr Patson Dzamara to keep his vision for Zimbabwe high. No one kills a seed with so many farmers. It germinates and grows on and on. Generally we have all concluded that Itayi Dzamara was abducted by Zimbabwe Government Secret Service.